Woo-Jin (Jae Hee) is an ambitious doctor. After he failed in love, he no longer believes in true love. He views marriage as just a business. Hae-Soo (Kang Byul) works as an assistant chef. She dreams of getting married to the right man and having a family. Woo-Jin soon falls in love with Hae-Soo. He comes into conflict with love and ambition. "Save the Family" takes over the KBS 1 Mon - Fri 20:25 time slot previously occupied by "You Are The Only One" and followed by "Sweet Home, Sweet Honey" on November 2, 2015. Director Jun Sung-Hong and screenwriter Hong Young-Hee previously collaborated in 2012 KBS drama series "Moon and Stars for You." dani Apr 07 2016 8:19 am Ujin is very selfish. He found out in episode 57 or 58 that Yewon do not really love him and is just using him to secure One Food ownership for herself and yet he didn't confront Yewon with the truth and break up with her there and then. He used Hae Soo and made Yewon take it out on her. Poor innocent Hae Soo. star Nov 17 2015 1:26 am It was a happy ending ... I like it . Charles Nelson Oct 28 2015 12:38 am Is their any set final episode or number total episodes for "Protect the Family" a.k.a. "Save the Family"? Most site say 120, but I just watched 120 and it is not the last episode. Faye Oct 19 2015 6:50 pm Dear Dircector. When I was watching Love on a Rooftop, I was quite disappointed in the storyline almost to the end, when it was like rushing though, I love the ending It mad me cry river when the couple finally made up. I wish it was longer because I wanted those two to have a wedding or just be intimate to make up for the lost times in their relationship. I'm sorry to see Save the family is heading towards the same direction the way the storyline is going. I hope you guys would turn the story around and make us happy with Ujin and Haesoo enjoy their relationship in a better way instead of letting that evil Yewon come between them and seems like she's winning everything time she comes on. She is too much to handle and she's conniving, manipulative and using her passing out to keep a leash on Ujin who is so weak at this point. Please do something and just let that Yewon girl stop her evil ways. Jc Sep 27 2015 9:33 pm I just hope this drama ends well ...hope haesu and ujin find happiness in the end despite ujin mom oppose of their relationship ...and i just hope someday yewon will realize money just can't buy anything especially love ..
Faye Sep 23 2015 5:19 pm I'm so worried that Ujin looks like he's going back to that skinny snaky ex-girlfriend. Wish he would get up and go look for Heisu. He's just giving up and that is so so because after all that he went thru wih miss skinny, why in the heck is he thinking about going back to the witch....oh my this is not happening. Odd Aug 05 2015 4:00 pm I always thought that Jae Hee is going places. Man daily drama are the worst. I feel bad for the guy. Kris Jun 12 2015 6:50 pm Why on earth do so many Korean dramas have the nasty rich woman being mean to lowly people, who are already doing perfectly fine. She just threw a tray into someone and will get away with it. Are there any laws in S Korea. I guess Korean Air wasn't an exaggeration. And she is walking free, didn't face criminal charges in US for some odd reason, the employees and their famlies will have their lives ruined in the network of avenging, is that what the little sister called it. Gosh. Collibosher Jun 02 2015 1:46 pm I'm enjoying the series and our lead actress' character, so far. She's strong and takes no prisoners as far as protecting her "family" is concerned. As for the insipid comment from @Morganelia goes, I wonder just how many dramas this person has watched. The lead actress is playing a poor woman who works to feed her charges and has little left to spend on makeovers, and such. This is part of the accepted formula. Second lead wears pretty clothes and comes from a family of privilege, lead actress is poor, but pure in heart. In real life, this will nearly always be where a man's heart will go. Real men fall in love with women, not their bankbooks. austra Jun 01 2015 5:31 am something is wrong with you, she looks nothing like a 40 years old woman. The way she clothes? well she is having an hard time trying to make a living, its not even that bad anyway. So far great story and characters. 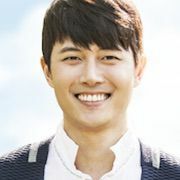 Morganelia May 25 2015 6:12 pm Hae-Soo urgently needs a makeover because she looked like a woman of around 40 years and Woo-Jin has an excellent look is as close to 30 year old man. Whom do so he had to create a so odd couple?... they are really crazy. Style consultants are very wrong in this drama especially with regard to women all look outdated regardless of age.